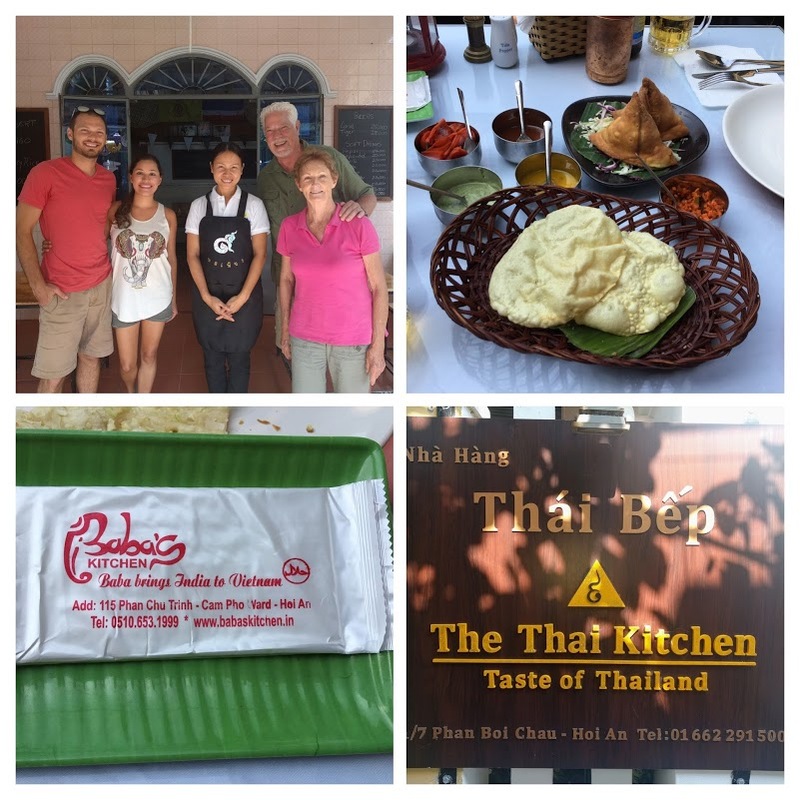 Two great South African experiences before we headed to Asia in mid-February 2018! All Aboard for a Ride on the Rails! 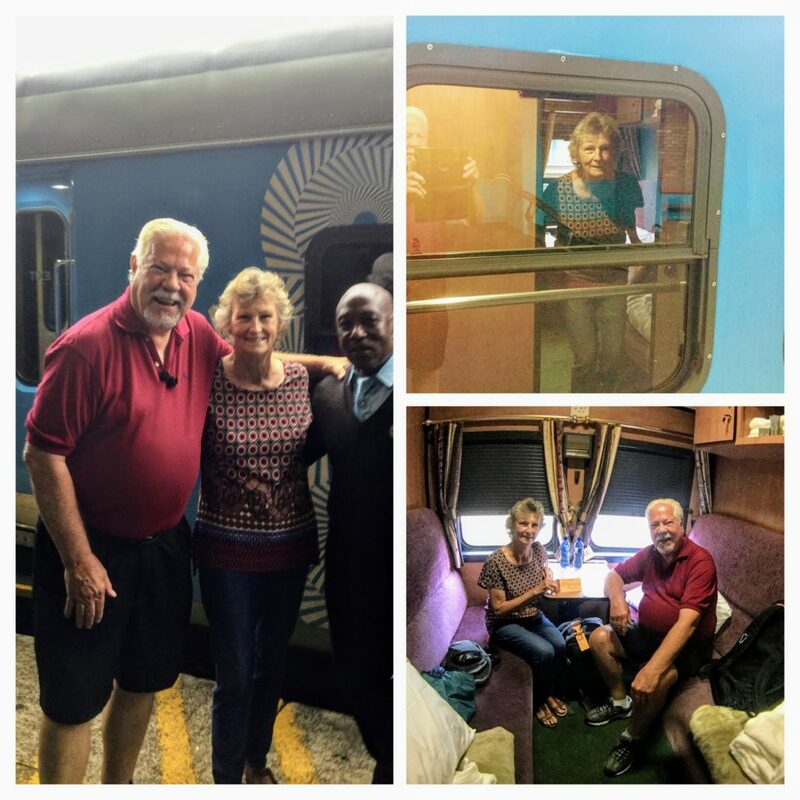 As you’ll know from our previous trips, we love trains and South Africa has the distinction of being featured on many “Great Rail Journeys of the World” websites where the Blue Train and Rovos Rail are the featured Stars. Both these trains offer superb service and run between Cape Town and Johannesburg/Pretoria – but at a price! A price that was way beyond our budget! So, we chose to travel from Cape Town to Johannesburg in Premier Class on the public train, the Shosholoza Meyl. We’re glad we did! 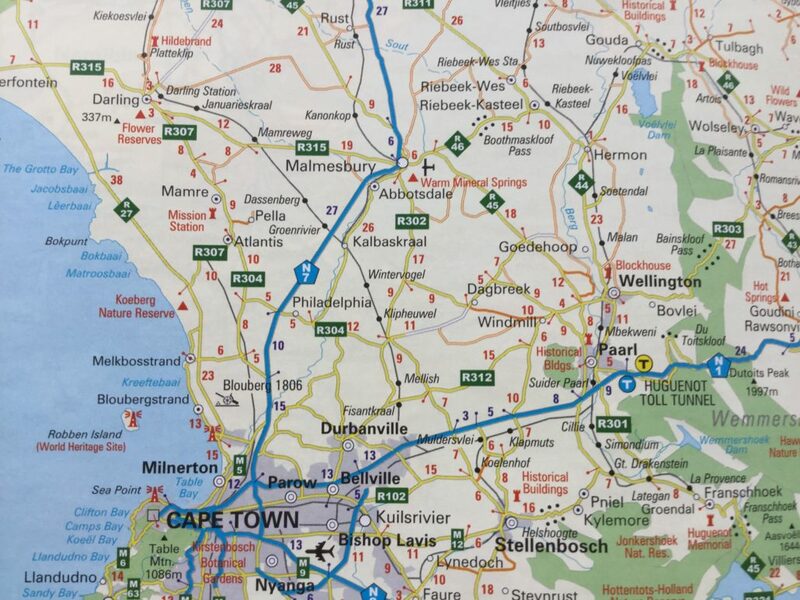 We were lucky enough to find Mr. Tertius Bester, a long time resident of Cape Town, who owns a company called New Fusion Travel and specializes in incoming tourism and rail journeys in South Africa. He booked our tickets for us, met us to give us our tickets when we arrived in Cape Town, drove us to the Station to show us where we needed to be early the next day and then drove us to our Airbnb. Great service and highly recommended. On the Shosholoza Meyl train we rode the same rails as the Blue Train and Rovos, enjoyed the same stunning scenery and were looked after beautifully by a friendly and efficient staff. Our day started with coffee and muffins in the special Premier Class lounge at the Cape Town railway station prior to departure. We were then escorted to our cabin where our luggage was stored for us. 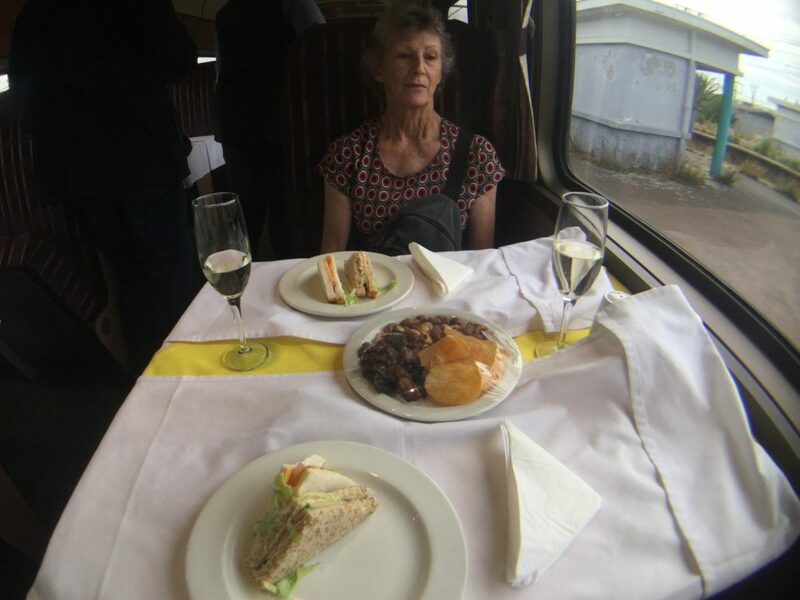 Once on our way we were served a glass of excellent South African sparkling wine and a snack during a briefing by the train Manager. A tasty lunch followed a few hours later. 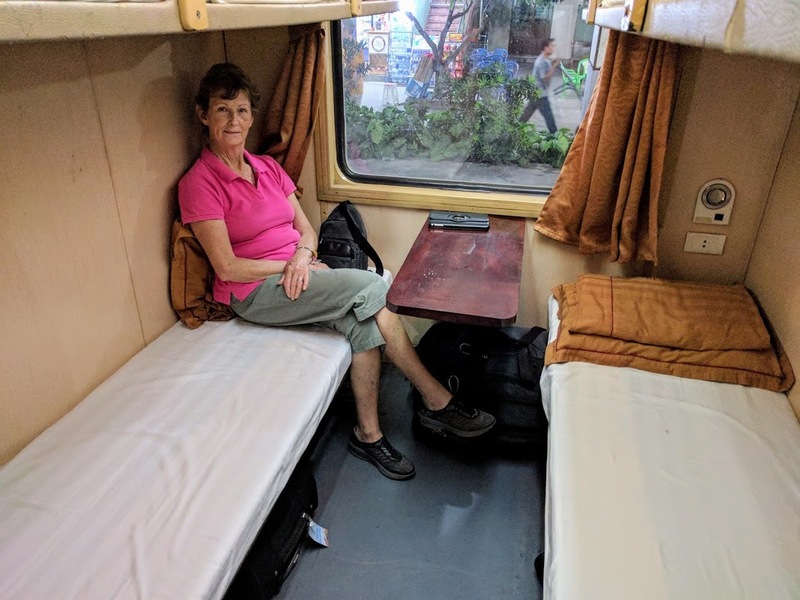 Tired after our early morning start, we dozed off in our cabin so missed tea but later chatted with other guests in the lounge car while marveling at the passing landscape of lush vineyards framed by spectacular mountain ranges. The sun set during our delicious five course dinner, served with a complimentary bottle of red wine, while our cabin was prepared for the night. We happily retired to be lulled to sleep by the gentle rocking of the train! 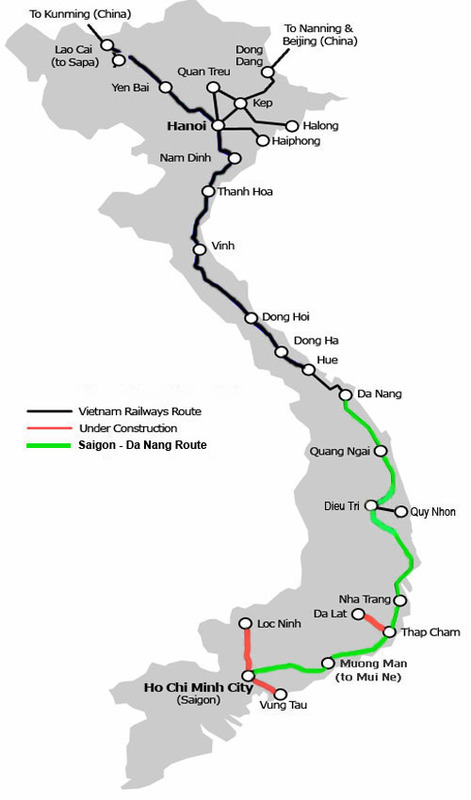 Now … having spent nights on trains in the past, and not so long ago, on the Reunification Express in Vietnam, (link back to our previous Vietnam blog) we know that trains don’t actually “rock gently”! In fact, one can expect to be disturbed quite frequently as the train speeds up, slows down and stops at stations along the way. 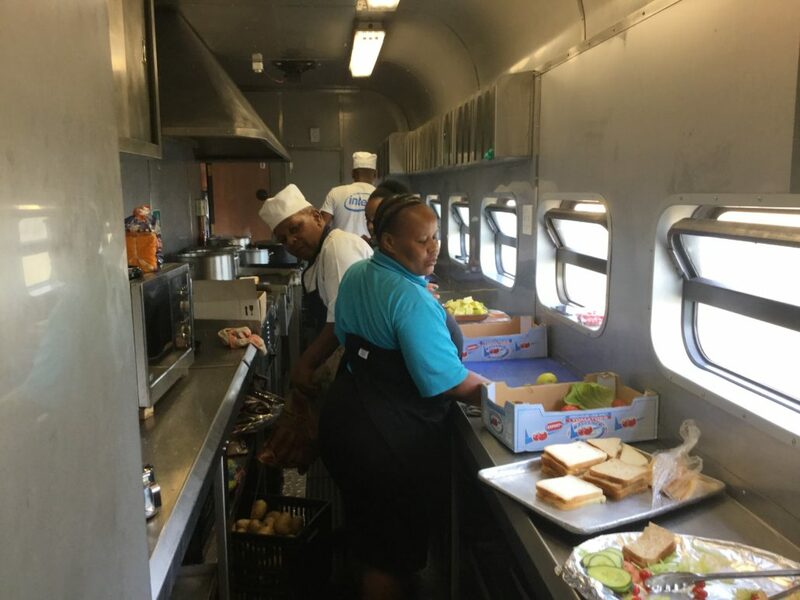 This is all part of train travel and we love it! 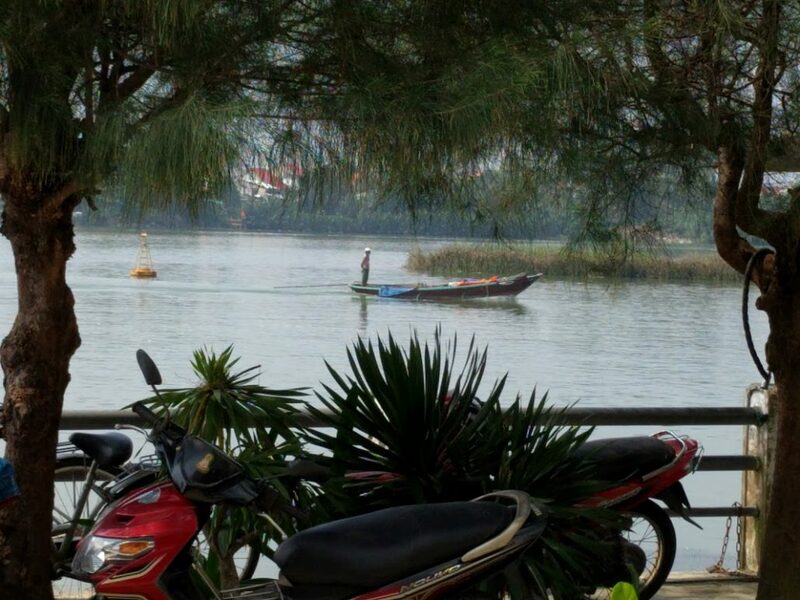 Waking at dawn, we watched the world come to life as people started their day. 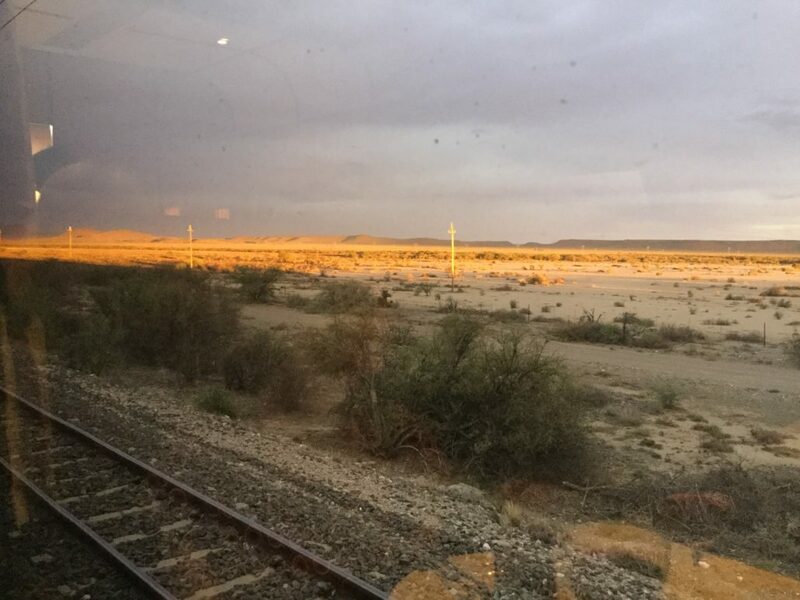 In the early hours of the morning we had passed through Kimberley, famous for its diamond mining past and, as we headed towards Johannesburg, we noticed the scenery had changed to the dryer grasslands of the Central Plateau known as the Highveld. The train manager had warned us the day before that our arrival in Johannesburg could be delayed and he offered to assist anyone who had onward connections. He confirmed this at breakfast but we were not concerned since we were connecting to Pretoria on a commuter train, known as the Gautrain (pronounced “How train”). 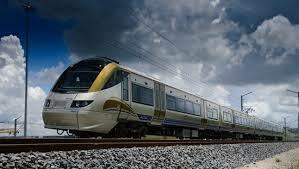 This 80 km (50 miles) commuter rail system connects Johannesburg and Pretoria as well as the International Airport. The trains are clean, fast, run frequently and are on time! We were impressed! As it turned out, we were later than expected and arrangements were made to serve us lunch prior to our arrival. This was done seamlessly although the logistics of serving an additional meal on a train must be a nightmare. Kudos to the train staff! 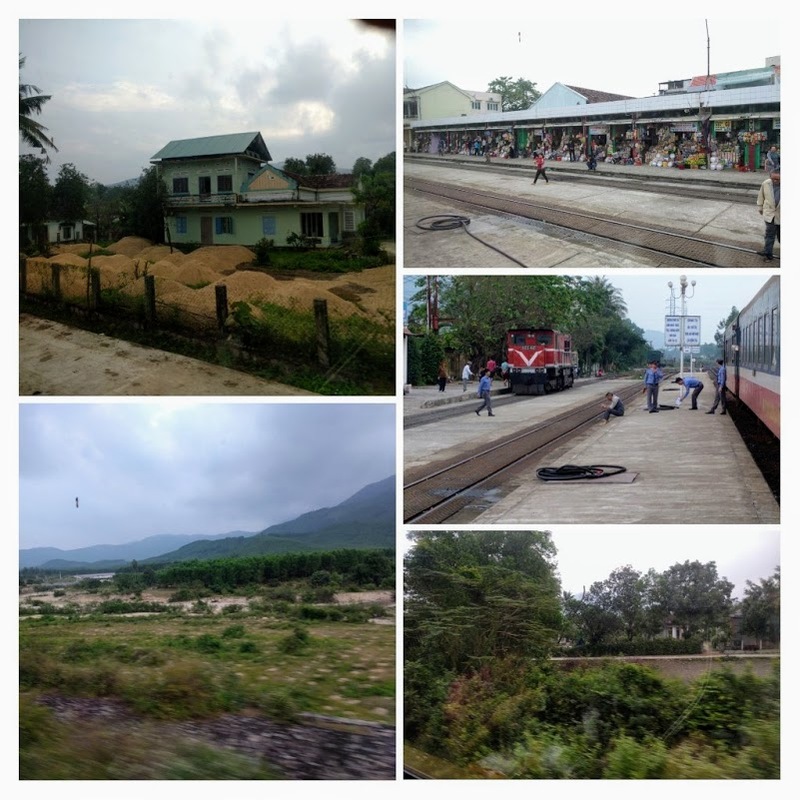 Our rail experience was definitely a highlight of our trip! We were intrigued with the name of the train and learned that Shosholoza, meaning “Go Forward”, was sung by migrant workers in the gold and diamond mines of South Africa. Today it is often referred to as South Africa’s second national anthem and is played at International Sports events. Enjoy! 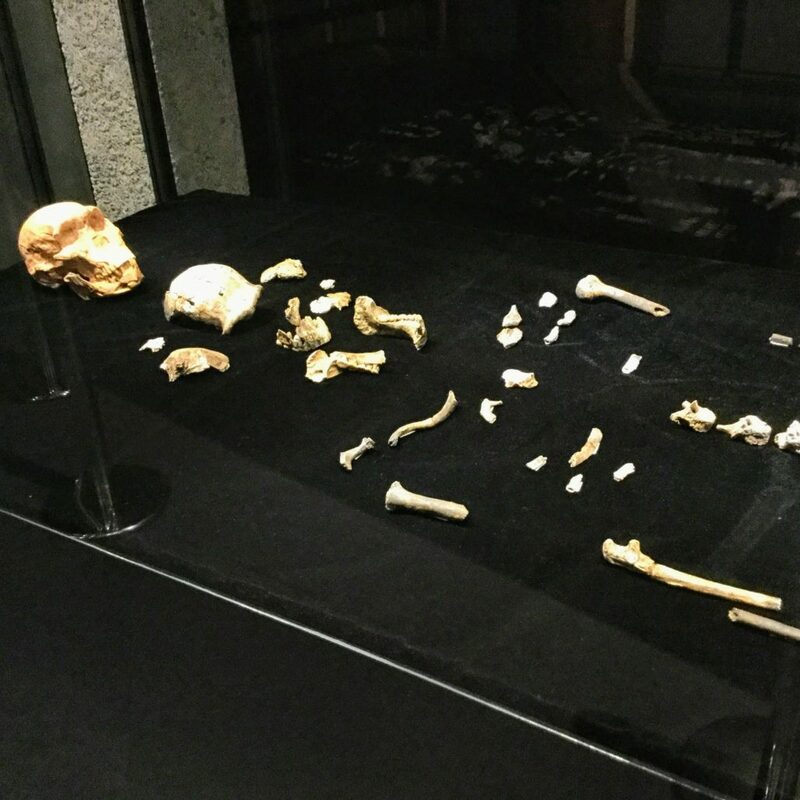 We were not going to leave South Africa without visiting the Cradle of Humankind, a World Heritage Site about an hour from Pretoria, and we spent a fascinating afternoon there with our son, a Professor at the University of Pretoria. 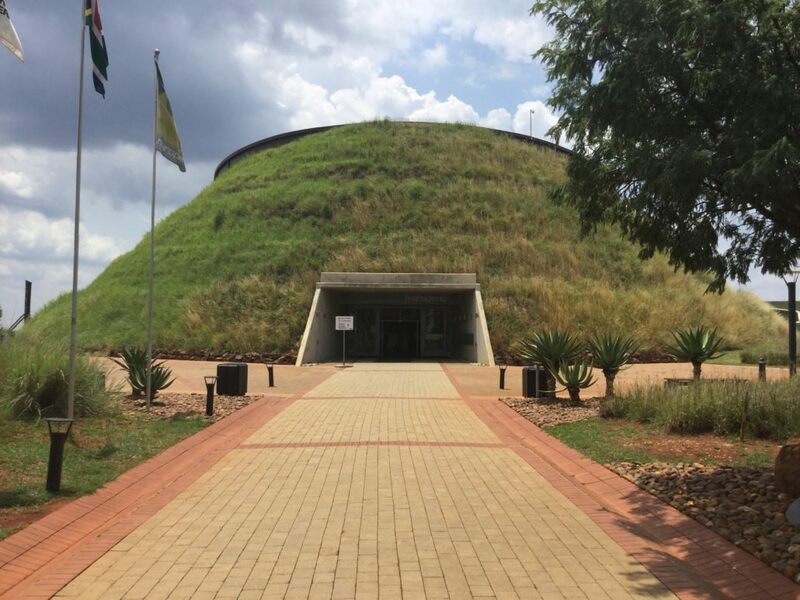 We started at the Maropeng Visitor Center which, as you approach, looks like a huge burial mound. This building houses an amazing exhibition that takes you back to the formation of the Universe 14 billion years ago, the earth about 4.6 billion years ago, the origins of life on the planet and the development of humans. It’s fascinating stuff! A little difficult to get your head around the time lines, perhaps, but the interactive exhibits help! The Cradle of Humankind covers an area of 180 sq. 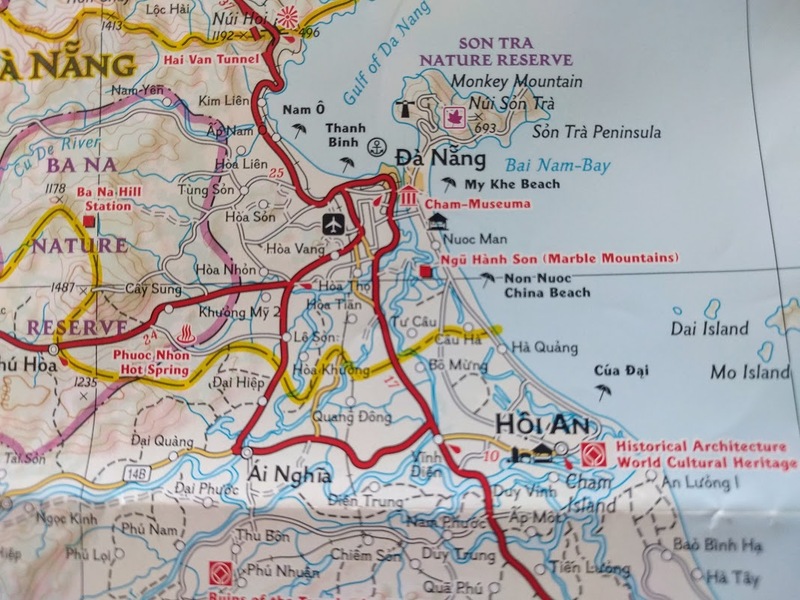 miles (47,000 hectares) encompassing many different caves where stone tools, hominid and animal fossils have been found. After our very interesting tour of the Maropeng exhibition we drove a short distance to the Sterkfontein Caves, famous for two hominid fossils in particular – Mrs. Ples (2.1 million years old) and Little Foot (more than 3 million years old!). Priscilla figured that with two men to help her (one pulling and one pushing!) 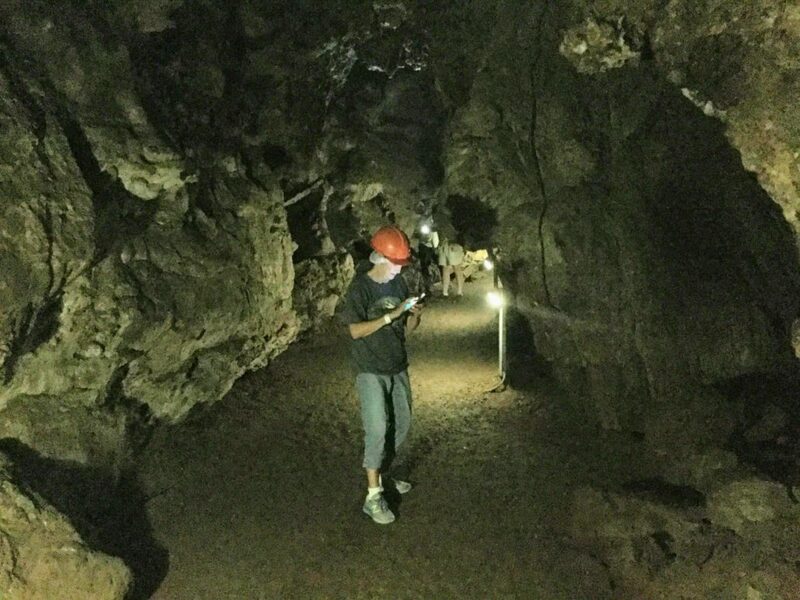 she could get through the “tight spots and narrow pathways” on the cave tour so off we went! 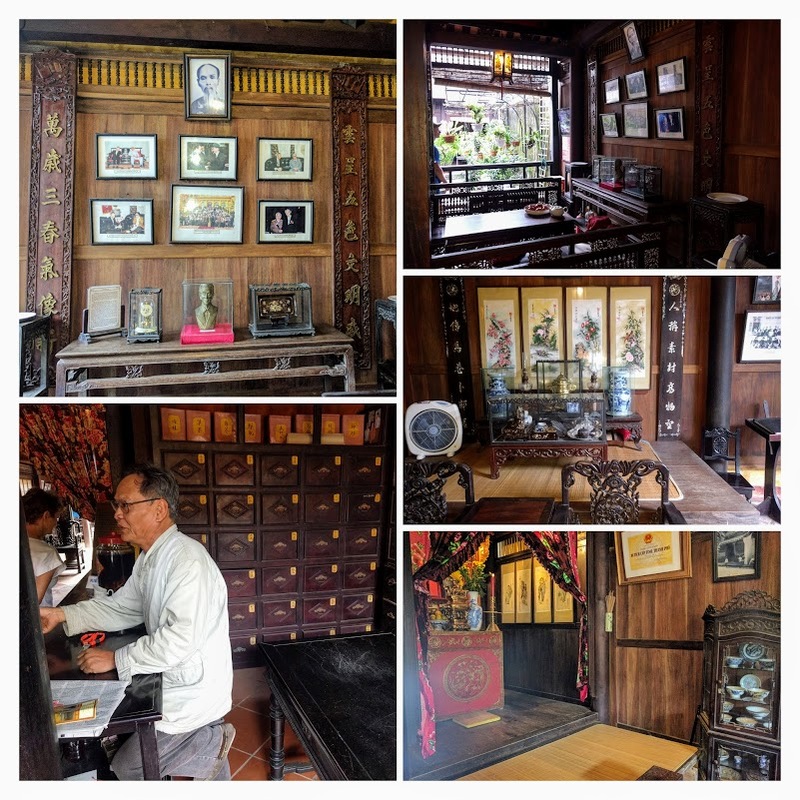 There were only five of us on the tour and our guide was extremely knowledgeable. 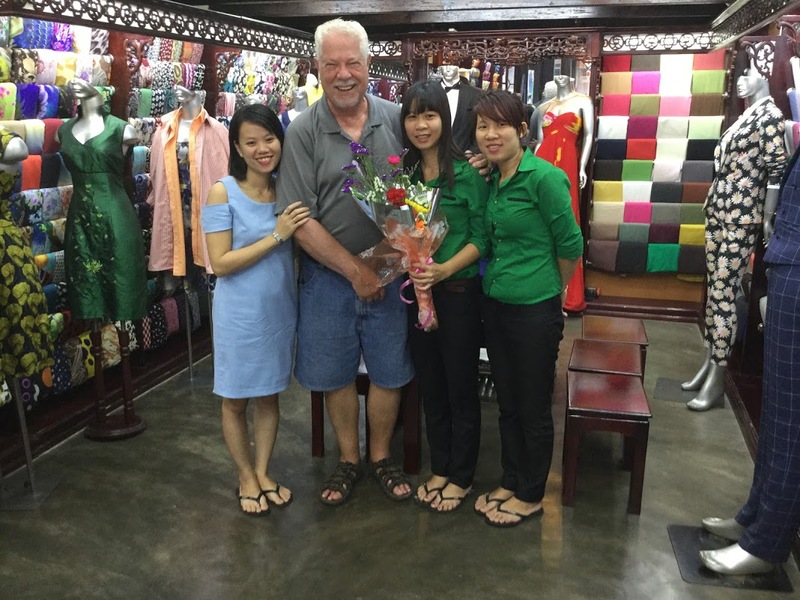 We had plenty of time to ask questions and take the tour at a leisurely pace. There was something very special knowing that we were, in fact, in the same space where remains of the precursors of our human race had been found. A fitting end to our South African adventure! 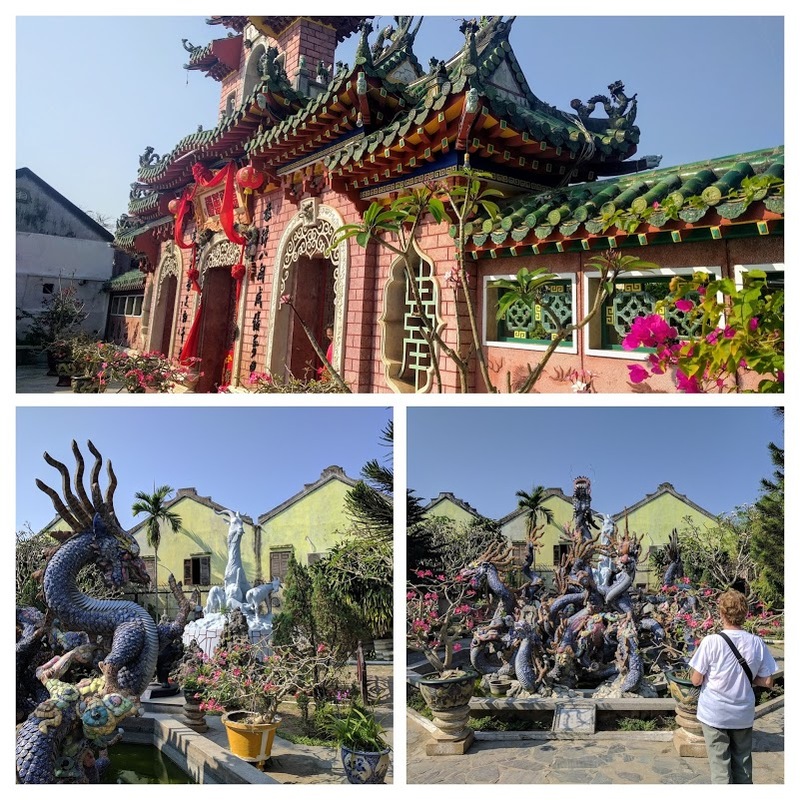 Three months had slipped by and suddenly in mid-February 2018 we found ourselves on a United Emirates airplane bound for Dubai and onward to Ho Chi Minh City (Saigon). 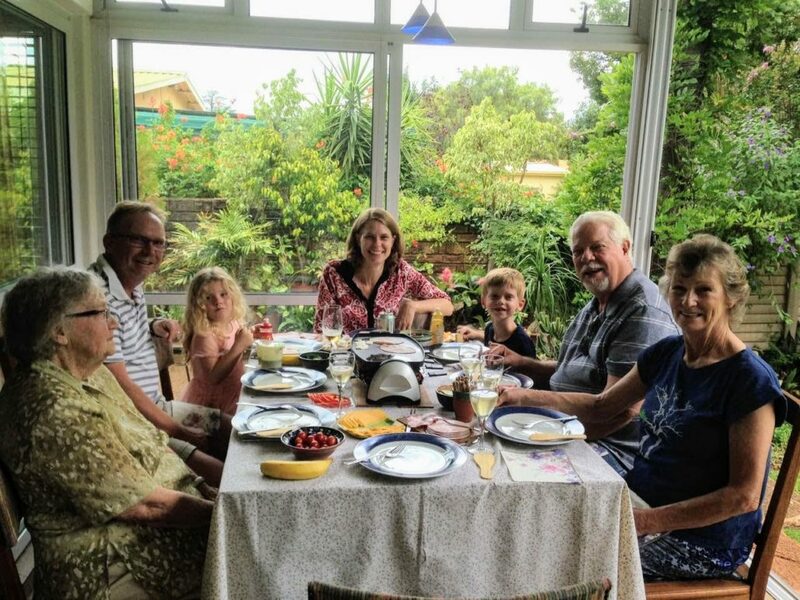 We left behind family and friends – new and old! 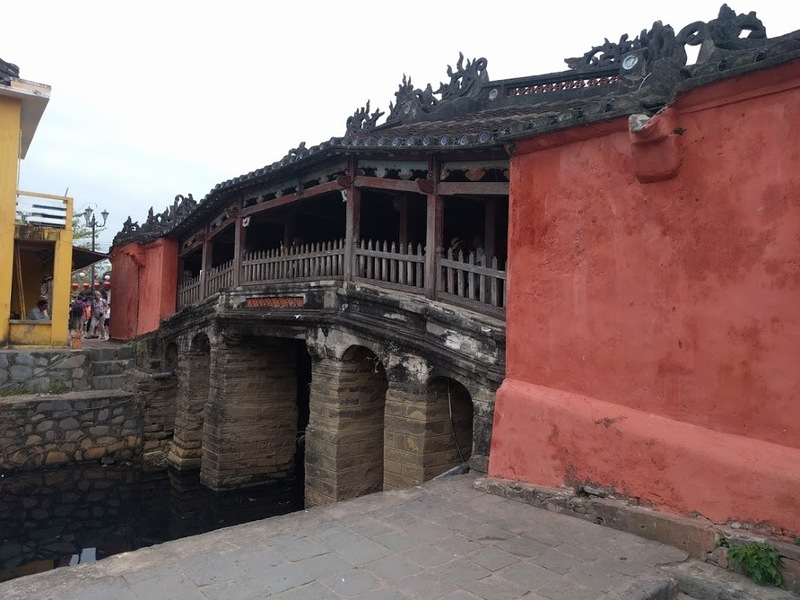 – and took with us memories to last until our next visit.